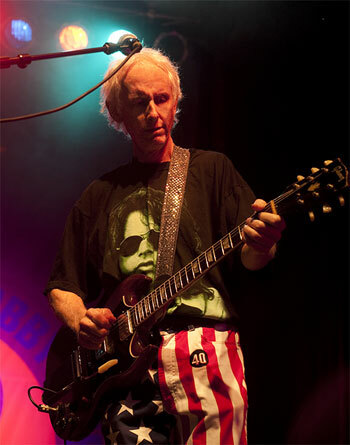 Though his musical skills and interests have always transcended his work with The Doors, at age 71 guitarist Robby Krieger proudly carries on his old group’s legacy. Krieger scheduled a limited run of live dates this spring to do just that. The Doors were one of the most important and influential bands of the 1960s rock scene. While the band ended for good in 1973, the Doors’ music has remained popular, thanks in part to use in films. Lead singer Jim Morrison died in 1971. Though drummer John Densmore has written several books about his time with and after the group, he is not a regular participant in latter-day Doors reunions. Up to his death in 2013, keyboardist Ray Manzarek collaborated often with his good friend and band mate, guitarist Robby Krieger. Krieger is justifiably proud of his Doors-era work. 2017 marks the 50th anniversary of the release of the band’s self-titled debut album; The Doors will be reissued on vinyl later this year, and the reissue will feature the very different stereo and monaural mixes of the album, plus bonus material. The latter includes live tapes from San Francisco club The Matrix, made shortly after recording the album. “It’s kind of interesting to hear how we played the stuff live right after we recorded it,” Krieger says. And thanks to Krieger’s commitment to that music, today’s fans have a similar opportunity.